This term we will be learning about the disaster of the titanic and the moon landing. Handwriting - Children will be focusing on leter formation, size and proportion. Spelling - Common exception words and high frequency word lists for appropriate level. On-going weekly Literacy Skills and Reading Comprehension. Phonics - Phases taught daily and applied to their writing. Individual reading within class/group. Books are aimed to be changed at least weekly. Please help us by reading with your child at home. In Science this half term, the children will be exploring Living things, Habitats and Homes. The children will explore and compare the differences between things that are living, dead and things that have never been alive. They will identify and name variety of plants an animals in their habitats, including micro-habitats. They will also identify that that most living things are in habitats suited to their basic needs. How animals obtain food from plants and other animals. Name and locate the worlds five oceans. They will also be able to use geographical vocabulary (city, port, harbour)when describing the Titanic's journey from Southamton. Learn about the disaster of the Titanic, known as the unsinkable ship and explore life on board for both the poor and rich passengers. The Wright Brothers, known for completing the first successful aeroplane flight in 1903. 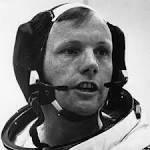 Neil Armstrong, famous for being the first man to walk on the moon. The children will learn about his incredible journey to commemorate the 50th anniversary. Look at the Easter story with a focus on Good Friday and Easter Sunday. We will then learn about two Christian Bible stories - Noah's Ark and Jesus Feeding the 5000. This half term on Tuesday all the children will take part in Gymnastics which is led and planned by a specialist gymnastics teacher. No jewellery and long hair tied back. Year 1 children will be developing their skills on Thursday to lead up to a multi-skills festival. PE kits will need to be in on a Tuesday for Gymnastics and Thursday Year 2 swimming and Year 1 P.E kits for class based sessions. Reading book to be brought to school everyday. Homework has changed this term due to the change in topic the children can still pick what they want to do from a grid. Depending on what they pick depends on when it is due in. On Friday the children will look at different aspects of music. This will be linked to our topic.